When looking for hand protection, glove liners can be easily overlooked or used incorrectly. Glove liners are thin gloves that are usually worn inside other mitts or gloves to provide an extra layer of protection, absorb perspiration, and increase warmth. Below are some good tips on the best way to use glove liners. RefrigiWear has over a dozen liners made from different materials and weights for numerous situations. Some glove liners are designed to be worn alone when temperatures are moderate and inside other gloves in very cold conditions to provide extra warmth. Just providing extra warmth is not the only benefit of liners. Additional uses are listed below. Moisture wicking abilities – Glove liners are frequently used inside of another glove to wick moisture away from the hand. Water is an enemy of keeping warm so you want to move moisture, such as sweat, away from the hand as quickly as possible. Paired with other gloves for warmth and grip – Certain jobs require gloves with grips or dot coatings but those types of gloves are not typically insulated. Therefore, wearing a liner under them gives you warmth without losing the grip benefits of the coated gloves. Touch screen ability – Liners that have specialized fingertips allow the use of touch screen devices while wearing the liners. 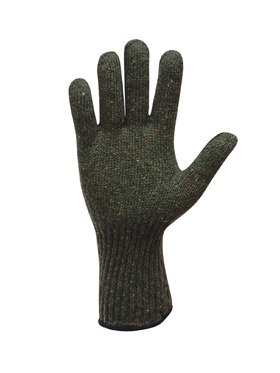 These can be worn alone or paired with a fingerless glove or convertible mitt to give warmth and touch screen ability. Wear on own or with specialized gloves – Rubber gloves are required for various situations, and they can cause you to sweat and be quite uncomfortable. Adding a glove liner will wick moisture away, provide cushioning and overall comfort. In order for glove liners to be successful, you must keep in mind the fit of the liner. It should not be stretched tightly across the palm or the back of the hand, but it needs to provide a snug fit so that it is in contact with all of your skin. Be aware that glove liners should not be used alone in heavy work situationswhere abrasion is a big factor. They are not likely to provide the type of protection you need in those environments and can wear out quickly. Look for a performance or leather glove if you are need a pair of gloves for heavy work. Our Customer Service Team is available to answer any questions that you may have about glove liners or they can help you find the right pair of gloves. Give them a call at 800-645-3744.